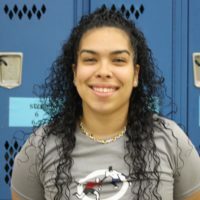 Katiria joined StreetSquash as a Squash Coordinator in 2016. She graduated from Trinity College in 2016 with a BA in International Studies and Hispanic Studies. While at Trinity she competed on the varsity squash team and also served as a Squash Intern at Capital Squash. Katiria is a proud CitySquash Alum (’12).